Thread: new Wheels vs new Bike vs shut up and Ride!!! Current steed is a 2010 Redline Monocog Flight. It's stock except for BB7 brakes, otherwise it's a full rigid SS steel 29er for those not familiar. I’ve got an itch to upgrade and figured the stock wheels is where to start based on what I’ve read here. Right now it’s got WTB LaserDisc wheelset which weighs about 6.5lbs (w/discs, hubs, skewers but no tires/tubes). Thinking of going to ZTR Arch EX wheelset and hubs. I would like to run wider tires for a bit more comfort and grip but the Monocog Flight won’t clear more than a 2.2 out back. Not a show stopper but I’m certainly interested in trying 2.35+. The cost of the Arch EX singlespeed wheelset Stans is $620. 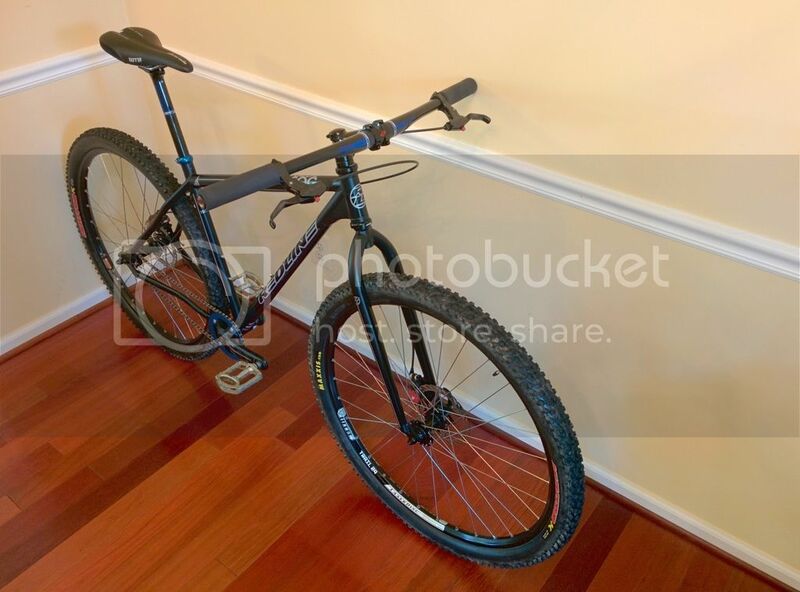 At $620 I’m about half the cost of a Salsa El Mariachi SS ($1250) or Trek SuperFly SS ($1500). What I appreciate about both of these bikes are the front through axles and rear tire clearances to accommodate 2.4’s. The SuperFly being very lightweight is an extra bonus but I’m not sure how smooth the ride is compared to steel. I’ve got no saddle time on either of these bikes and none of my LBS stock them so I’d have to special order. 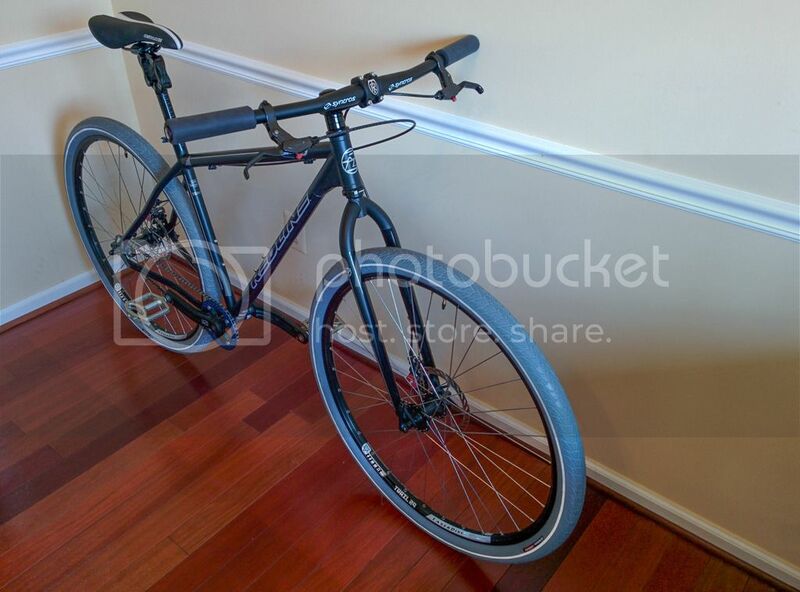 I do love my Monocog Flight and if I buy another bike I’m still keeping this one. But I’ve got no idea if buying an Arch EX wheelset will be noticeable upgrade or if I’d still be itching for the Salsa or Trek SS. Of course I can also keep the Redline as is and SHUT UP AND RIDE! I would shut up and ride until either the wheelset or the frame gives in. If the wheels give in, buy a new set of wheels, shut up and ride until the frame gives in, then upgrade to a new frame. If the frame gives in, go buy a new bike. Even with the Salsa or Trek, the stock wheelset won't be as good as one you spec yourself. We don't need more to be thankful for; we just need to be more thankful. Ride it like you stole it. Stash the $600 a new wheel set would cost, and keep adding to it. One day it will be enough to do something nice for yourself. In the meantime, it seems like what you have will work. Been riding a regular Monocog for the last seven or so years and recently purchased a Superfly SS. For what its worth, the Trek isn't nearly as harsh as I expected an aluminum frame would be compared to the steel Redline. Last edited by A1an; 06-24-2015 at 05:17 AM. Buy a set of wheels that uses endcaps for different frame and fork sizes. That way when you upgrade the frame later on, you'll be able to move the wheelset to the new bike. I recently put a set of Roval Traverse Fattie SL carbon wheels on my El Mariachi. Best money I've spent on mountain biking! The beauty of riding older bikes with older standards (like 135mm QR) is you can find killer deals on new old stock and used. So you could upgrade and shave some weight without plunking down $600. It just wouldn't be a future proof convertible wheelset. Like someone else said, if you buy a new wheelset, buy convertible hubs so you could use the new set on a future frame/fork. Or... if you have $620 in hand, and could sell your Redline for $400 (low estimate) you are only a yard sale away from a new El Mariachi at that point. But.. if you love the frame and it fits you well, changing the frame might not be the best idea. Since the general consensus was to SHUT UP AND RIDE that's what I'm going to do! Well I did do a minor change, found a killer deal on some carbon Niner bits and swapped them out. The Monocog Flight has gone back from urban assault to MTB mode! (right-click image to view high-res). Garmin shut off due to low battery during ride. Track recoverable?